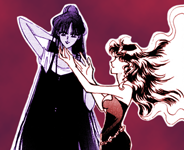 At the end of the Infinity arc, Michiru gives her talisman, the Deep Aqua Mirror, to Chibiusa. While Chibiusa uses it once or twice during the Dream arc to see what people are up to, iirc she never uses it as a weapon in battle. 1. Do you think the Sailor Guardians can use each other's weapons? 2. What would happen if they could and did? 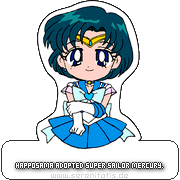 What would a Chibi Moon attack using the Deep Aqua Mirror look like/be called? What about if Mercury used the Spiral Heart Moon Rod? Or if Venus used the Silence Glaive? Or if Uranus used the Holy Grail? 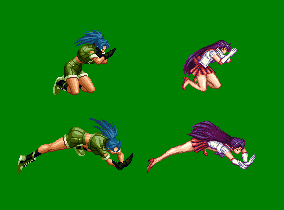 Let's speculate up some fun Sailor / Weapon mix-and-match attack combinations. What I want to know if any Sailor from other dimensions (other than the other 's) can use that cyber wheel chair Toonmaker uses. So although the items are primarily designed for specific users, it's never been officially stated that others couldn't have at least some limited access. Would be fun and interesting to watch without a doubt (Usagi might try to play Pokémon Go on Merc's computer, though, and then she'd complain that it doesn't work). Like that nutty professor in the recent 'Flash' episodes? I think they can use weapons and items but in a different way, depending on their element. 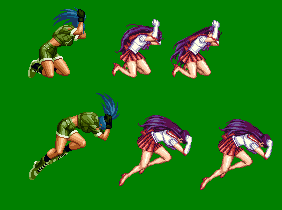 In this Usagi will probably be the weakest as she has no actual elemental powers. PGSM can use PGSM 's sword/tambourine. 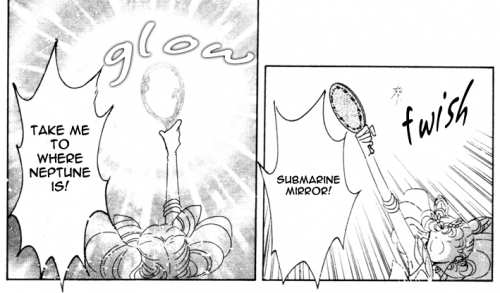 So it's possible any sailor scout can use the Holy Sword. 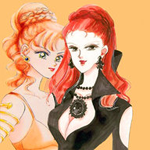 PGSM Mars and Venus seemed to have a shared set of daggers (note that there are two daggers and they're red and orange) which Mars used in the Final Act and Venus used in the Special Act, so it's not so much an instance of one Sailor using the weapon of another so much as an instance of two Sailors having a weapon/weapons that they formed together and are, by design, evidently meant to be shared between them. 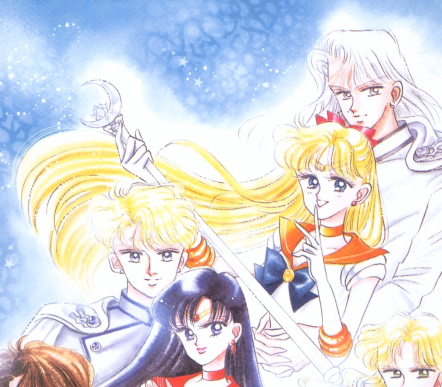 Since Mamoru and Usagi created the Moon Rod together in the manga (or, in the 90s anime, the Spiral Heart Moon Rod), I wonder if Mamoru would be able to use said Rod in either version? 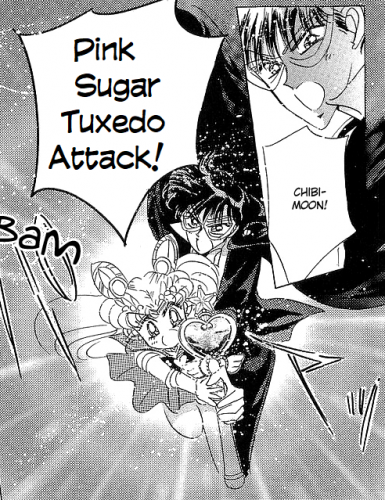 "Moon Tuxedo Halation" / "Tuxedo Spiral Heart Attack" perhaps? I'd like to see a 'MERCURY! TIARA! ACTION!' Attack. Could the other girls throw their tiaras like Sailormoon does/did? They probably could and just never did. I actually made a similar thread about that very topic. I'd like to see Moon throwing Tux's rose, tho.